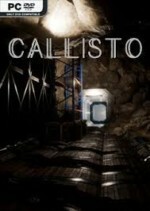 A small story telling about events that seemed to be taking place on the lifeless Jupiter’s satellite – Callisto. A young couple embarks on a journey, but they are overtaken by the voice of the command station: their journey is canceled – people need their help. As a result, everything is not as wonderful as they expected – to linger for a couple of days and depart. Everything goes much harder. In this exciting adventure you have to solve many logical puzzles and quests, perform simple tasks, follow the thoughts of the main character and his mythical companion. In addition to performing the main storyline, enjoy the pleasure of visiting unique locations – among the rocks and fog, in dark caves and abandoned laboratories.